W.D. & H.O. Wills was founded by Henry Overton Wills I (1761 - 1826) in 1786, some time after he came from Salisbury to Bristol and went into partnership with Samuel Watkins. Their first shop was in Castle Street but by 1791 the firm had moved to 112 Redcliff Street. W.D. & H.O. Wills established a reputation for integrity, fair dealing and consideration for employees, as well as for high quality products; these reputations were consistently maintained and adopted by 'Imperial Tobacco' throughout the 20th century. 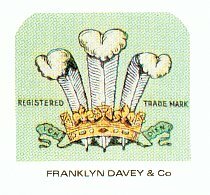 The firm made steady progress manufacturing and selling tobacco products and in 1871 entered the cigarette market with the original 'Bristol' brand, this was followed in 1874 by 'Passing Clouds', in 1878 by 'Three Castles' and in 1888 one of the most famous cigarette brands in the UK - 'Woodbines' - at a price of 5 for 1d. 1786 Wills, Watkins & Co., 72 Castle Street (Henry Overton Wills' name appears in a Bristol Trade Directory for 1st time). 1789 Renamed 'Wills & Co.' (Watkins retired). H.O. Wills married Anne Day, the daughter of a Bristol Draper. 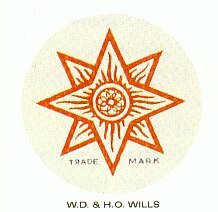 1790 Renamed 'H.O Wills & Co.' (Collins and Northcote retired). 1791 Renamed 'Lilly, Wills & Co' (Peter Lily, Henry Overton Wills, Richard Bowsher and Henry Cooke, partners), Business moves to 111-112 Redcliff Street (Lilly's premises). 1793 Renamed 'Lilly & Wills' (Cooke and Bowsher retired). 1803 Renamed 'Wills and Ditchett' (Lilly retired, Samuel Ditchett joined). 1804 Total net capital liability of the Company in June was £15,435 (2009 value: £1,080,000). 1805 Snuff Mill at Stapleton purchased for £850 (Wills had previously leased it from the Corporation since 1792). 1815 William Day and Henry Overton (2nd) joined the firm. 1820 Total net capital liability of the Company in June was £40,427 (2009 value: £2,710,000). 1830 Renamed 'W.D. & H.O. Wills' (Ditchett retired). 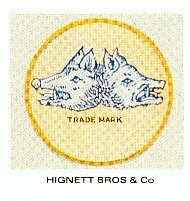 1833 Renamed 'Ricketts, Wills & Co.' (Frederick Ricketts, W.D. Wills & H.O. Wills, partners) 33 Mary-le-Port Street. 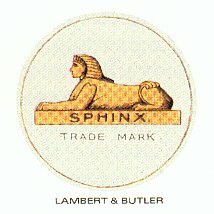 1842 Book value of the business was £90,000 (2009 value: £6,880,000). 1847 Renamed 'W.D. & H.O. Wills' (Ricketts retired). 1859 Renamed 'W.D. & H.O. Wills & Sons'. 1865 13th May: death of W.D. Wills following and road accident in London. Buried at Arnos Vale cemetery, Bristol. 1870 Extensions to Redcliff premises in Bristol and purchase of Cross Street premises in London. 1871 23rd November: death of H.O. Wills II. Buried at Arno's Vale cemetery, Bristol. 1875 Move from Cross Street to new factory at 53 Holborn Viaduct, London. 1876 W.D. & H.O. Wills. Total capital employed in the business £526,000 (2009 value:£36,700,000). 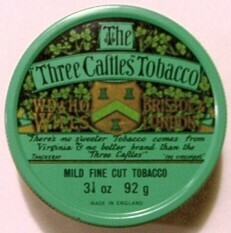 1878 Cigarette brand, The Three Castles introduced. 1880 A total of 600 workpeople were employed by the Company in Bristol & London. Bonsack cigarette making machine (initially produced 200, later up to 600 cigarettes per minute). 1886 'No 1.' Factory, East Street, Bedminster opened 27th March. 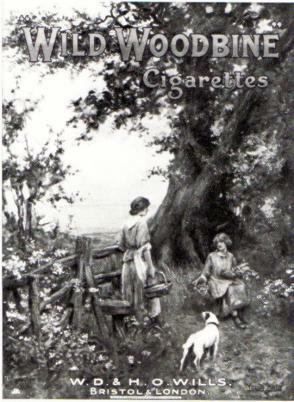 1888 Wild Woodbine and Cinderella cigarettes launched in the UK. 1892 Total capital employed £756,000 (2009 value: £60,900,000). 1893 Acquired Sales, Pollard & Co., London. W.D & H.O. Wills Ltd came into being on 20th May. Tobacco Company in 1902 and returned in 1919). 1901 Formation of The Imperial Tobacco Company, issued capital £14,518,097 (2009 value: £1,170,000,000). Purchase price of the Wills business - £6,992,221 (2009 value: £563,000,000). 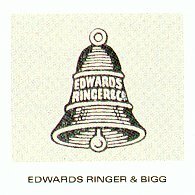 1904 J & F Bell merged with Stephen Mitchell & Sons. 1906 'No. 3' Factory, Raleigh Road, Bristol. 1908 Glasgow Depot at Tobago Road. 1911 4th September: death of H.O. Wills III. Buried at Arnos Vale cemetery, Bristol. 1915 Swindon Factory (taken over for use as a munitions factory 1915-19). 1923 Dublin Factory at marrowbone Lane, manufacture moved to South Circular Road in 1929. 1928 First Molins Mark IV cigarette making machine introduced at Wills. 1929 Belfast Depot at Berry Street, moved to Castlereagh and became a 'House' in 1954. 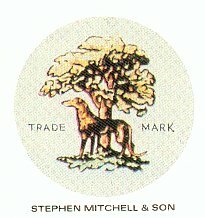 1932 F & J Smith merged with Stephen Mitchell & Sons, Glasgow. 1933 Molins making machines converted to Mark V's. 1935 Molins Mark VI cigarette making machines introduced (produced 800 cigarettes per minute). 1949 Wills introduced tipped versions of Woodbine. Capstan Medium and Gold Flake. 1952 Hauni cutting machines replaced Molins rotary cutters. 1953 Glasgow Cigarette Factory opened at Alexandra Parade. 1955 W.D. & H. O Wills and Wm. Clarke & Sons Dublin combined. 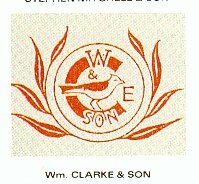 1957 Stephen Mitchell & Sons, Glasgow, amalgamated with W.D. & H.O. Wills. 1958 Molins Mark VIII cigarette making machines introduced (produced 2000 cigarettes per minute). 1959 'Strand' cigarette brand introduced (TV ad. slogan "You're never alone with a Strand" caught on - but did not sell cigarettes, perhaps because the ad. associated the brand with loneliness). 1962 Embassy cigarette Brand with coupons launched (project code name 'Ugly Duckling'). 1963 Glasgow Cigar 'No 14' Factory opened at Alexandra Parade. 1964 Wills World, monthly company newspaper launched. 1965 New KDF9 computer introduced. 1969 Redcliff Street premises demolished. 1974 First cigarettes produced at the new Hartcliffe Factory in Bristol. This was followed by transfer of cigarette production from 'No. 1' Factory in East Street, Bedminster and 'No. 4' Factory in Raleigh Road, Ashton, Bristol. 1977 Holborn Viaduct offices, London, closed. 1981 ITL unit boards of directors including W.D. & H.O. Wills board were disbanded and the 'ITL' board moved to the Wills Hartcliffe site. 1982 Wills London distribution depot closed. 1982 Cigarette production ceased at Wills 'No 12' factory, Glasgow. 1986 Hanson Trust take over Imperial Tobacco Limited. 1986 W.D. & H.O. Wills 200th anniversary. 1986 Factory buildings at East Street, Bedminster, Bristol demolished (frontage retained). 1987 Wills 'No. 5' factory at Swindon ceased production. 1988 'Wills' and 'Players' sales forces merged. 1989 Hartcliffe 'Head Office' building vacated. 1990 Closure of Wills Cigar factory 'No. 14' in Glagow and Churchmans factory in Ipswich. 1990 New ITL cigar factory set up in Winterstoke Road, Ashton Gate, Bristol. 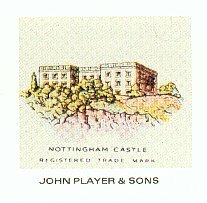 1990 Hartcliffe factory ceases production, all ITL cigarette production moved to Nottingham. 1999 Hartcliffe factory demolished. (2009) The site is now a large retail park and the structure of the 'listed' office building has been converted into flats.